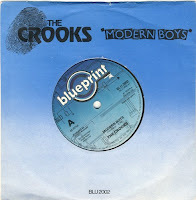 Completly underrated mod revival band from the UK. Listen to this two songs and you know what i mean. Track "a" is a non album track. Great, great !!!!!!!! Read a littlebit history here.